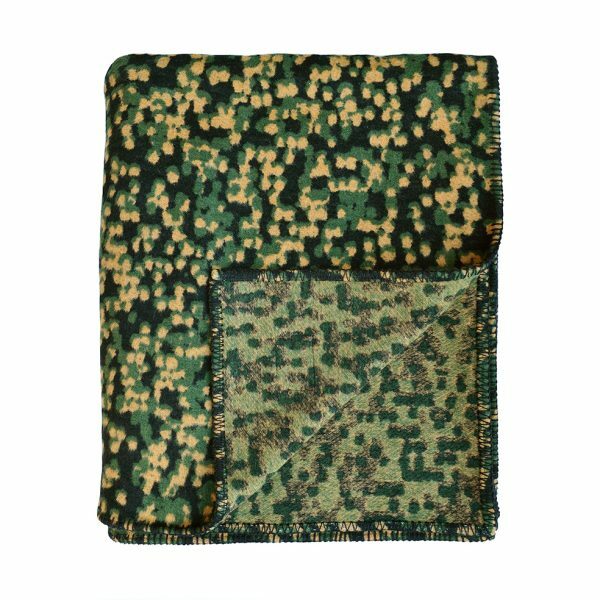 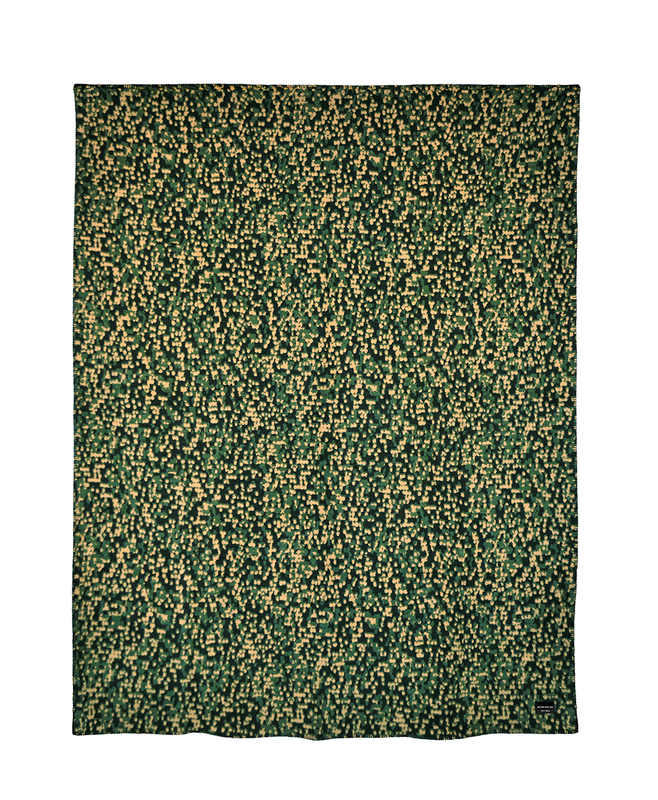 The Camo Throw is an effortless contemporary blanket, the pattern is inspired by traditional camouflage seen across the streets and catwalks. 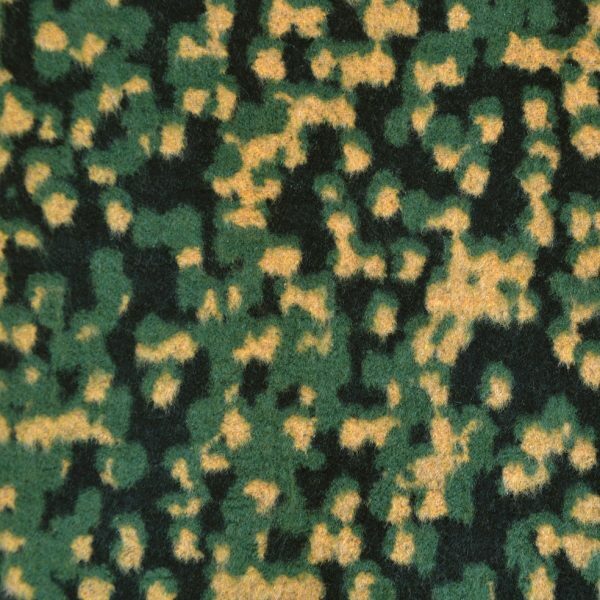 Our interpretation concentrates on working with classic camouflage colours with a subtle contemporary edge. It’s a great way to add a hint of colour without overpowering a space. 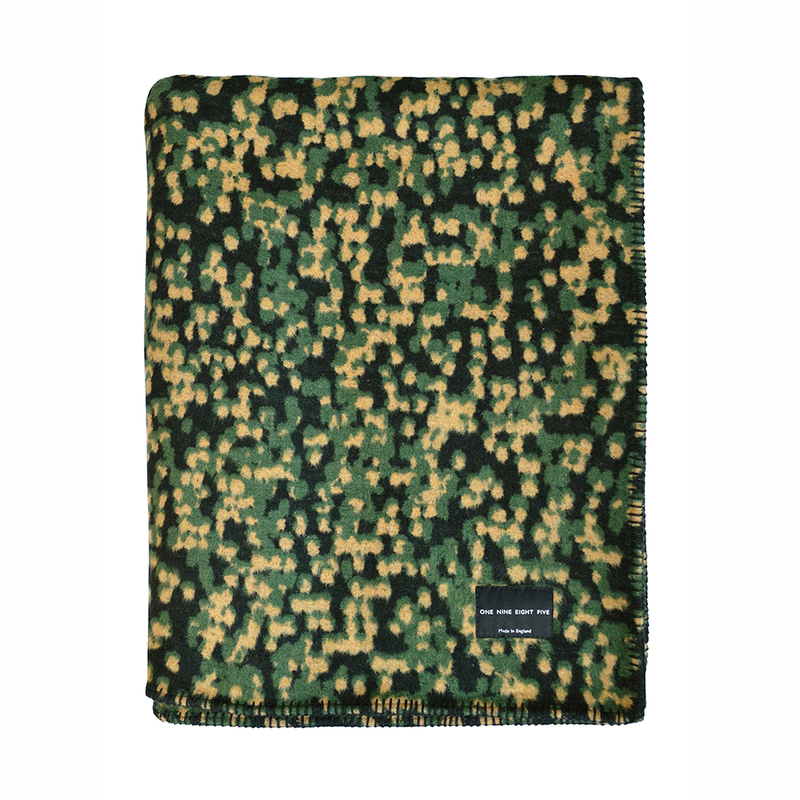 Pair this with our Pixel Camo cushion or our Ochre cushions to really make a real statement. 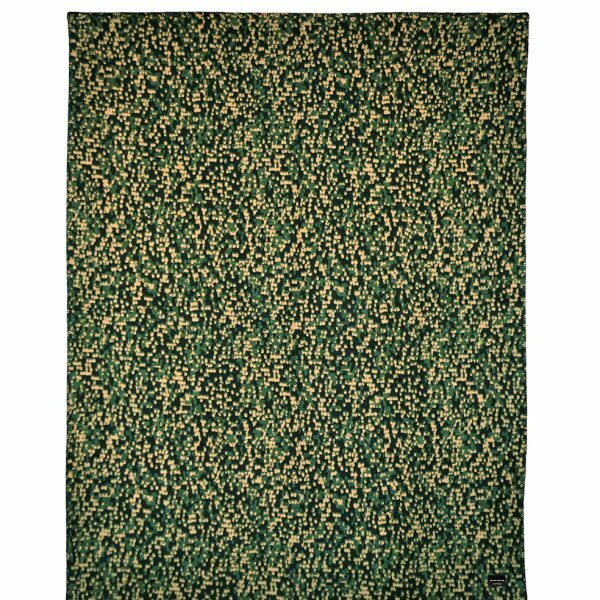 The throw is made from recycled cotton, saved from garment making factories, broken down into fibre and re-spun into yarn. It’s then woven, brushed and sewn using traditional techniques in British mills. The ultimate balance in design and comfort, the traditional blanket-stitching offsets the super-soft and tactile fabric, perfect for getting cosy whether it’s draped across a sofa or a bed.